Residents of Southern California may have to worry about drought, but there’s one problem we’re not going to face. 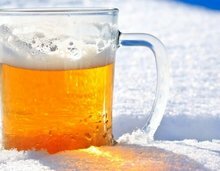 Even in these times of climate change, police won’t be charging any drivers for a DUI in Los Angeles while a blizzard is going on. That’s not the case in the northeast and mid-Atlantic, however. The snow that those regions received during at the end of January apparently didn’t deter drivers from getting behind the wheel while they were under the influence. Considering the amount of snow that came down in a short time, they were lucky (or maybe unlucky) to be able to get out onto the streets. In Delaware, police had parked an official vehicle in the roadway at the scene of a domestic dispute. (With more than a foot of snow on the ground already, they didn’t have a choice of parking areas.) That’s when Daryl Holcomb, age 33, allegedly plowed his sports utility vehicle right into their patrol car. Fortunately, the officers suffered no injuries. Holcomb, on the other hand, is looking at charges for driving under the influence, failure to have insurance identification and operating a motor vehicle during a declared emergency. In Brooklyn, New York, meanwhile, Aleksey Tsvetkov, 36, made several bad decisions on the Saturday of the blizzard. According to the New York Post, he ignored the ban on driving during the blizzard; was speeding; breezed through two red lights; and, of course, was driving under the influence. When police caught up with Tsvetkov, he had multiple bags of marijuana in his vehicle. After he refused to take a breathalyzer, police charged him with DUI. In California, penalties for a DUI can go higher when police charge drivers with multiple offenses at a time. Under Vehicle Code 23582, for example, a judge can increase the penalties for a DUI if you’re exceeding the speed limit by 20 mph on a neighborhood street or by more than 30 mph on a highway. There’s no mention in the law of driving during a blizzard.